High Efficiency Spiral Stainless Steel Plate Heat Exchanger, Spiral Plate Heat Exchanger is welded by two thin metal plates in a separate baffle and rolled into a spiral. Two thin metal plates in the device to form two spiral channel, in the top and bottom were welded with a cover plate or head. The two kinds of fluid flow through the spiral plate on both sides, one of the fluid along the spiral channel from outside to inward to the central outlet outflow; the other fluid is along the spiral channel from the center entrance, from the inside out. The two fluids flow in a pure countercurrent flow, suitable for small temperature difference heat transfer, recovery of low temperature heat, waste heat recovery. Light weight, the same is a 20m2 heat exchanger tube weight is about 800kg, while the spiral plate is about 480kg. Easy manufacturing, high material utilization, to board hosting, low cost, the use of Coil guarantee quality. The cost of the spiral plate heat exchanger is only 1/2 to 1/3 of that of the tube type heat exchanger. Medium to take a single channel, allowing flow rate higher than other heat exchangers, the higher the flow rate of the fluid, suspended solids in the fluid is not easy to settle down, and any sediment will reduce the cross-section of a single channel, thus increasing the speed, Blocking area and play the role of erosion, so the spiral plate heat exchanger is not easy to be blocked dirt is not easy deposition. 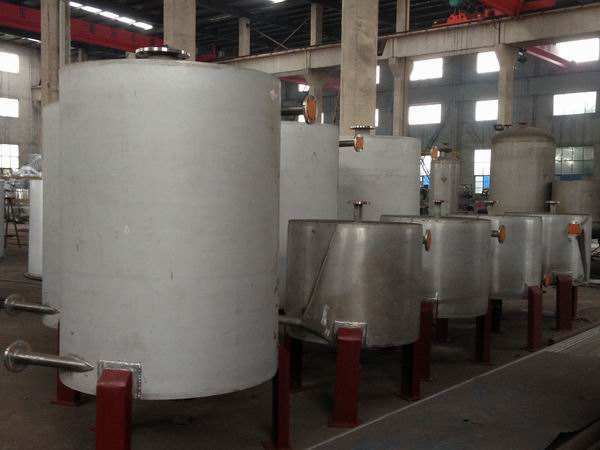 Production practice has proved that the spiral plate heat exchanger is generally compared with the Tube Heat Exchanger is not easy to plug, in particular, sediment, small shells and other suspended particulate impurities in the spiral channel is not easy to deposit. Outer surface area is small, close to normal temperature fluid from the edge of the channel out (into), without insulation. Due to the centrifugal force and the interference between the two plates, the turbulence can be reached at low Reynolds number (generally Re = 1400-1800, sometimes as low as 500) due to the rotational movement of the fluid in the spiral channel, and (2m / s for liquid and 20m / s for gas), so the total heat transfer coefficient is about 2 times of that of tube type heat exchanger and the heat transfer efficiency is Tube heat exchanger 1 to 3 times. 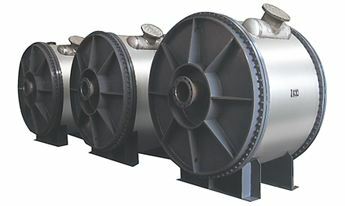 The heat transfer area per unit volume is about three times that of the tube type heat exchanger. For example, a heat transfer area of 100m2 spiral plate heat exchanger, the diameter and height of only 1.3m and 1.4m, the volume of only a few tube heat exchanger. 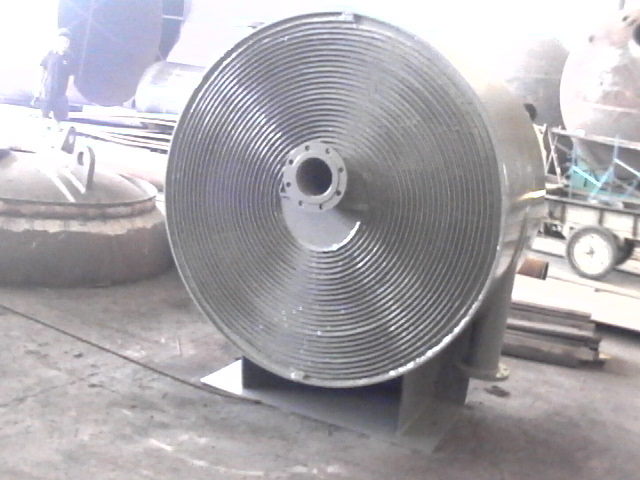 Looking for ideal Spiral Steel Plate Heat Exchanger Manufacturer & supplier ? We have a wide selection at great prices to help you get creative. 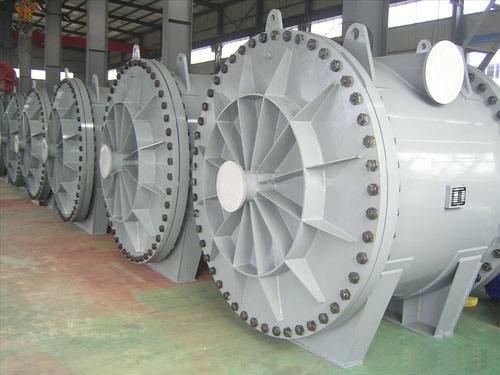 All the Spiral-Plate Steel Heat Exchanger are quality guaranteed. 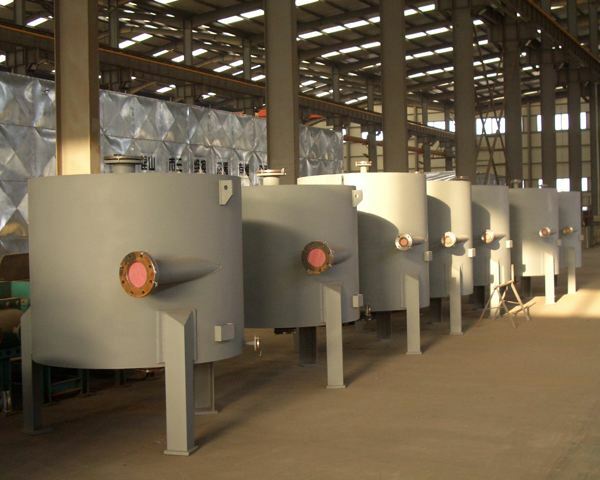 We are China Origin Factory of High Efficiency Spiral Heat Exchanger. If you have any question, please feel free to contact us.